"8 Qualities Of The World's First Michelin-Starred Street Food Chef"
Efficient. Hardworking. Professional. Friendly. Positive. Passionate. Integrity. Humility. These are the eight qualities Mr. Chan Hon Meng possesses, that led him to be the first street food stall in the world to ever be awarded a Michelin star. 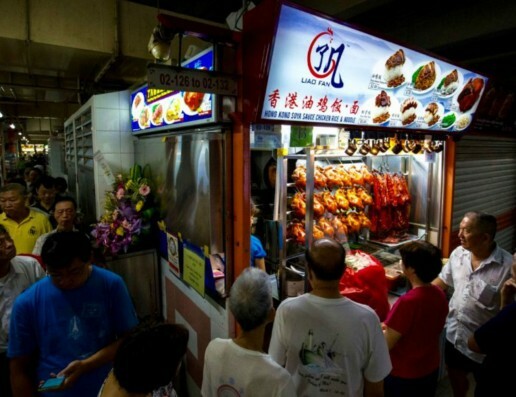 A humble man from Malaysia, Mr. Chan learned to cook soya sauce chicken from Hong Kong masters in the 1980s, then opened up shop in a hawker stall in Singapore Chinatown. For less than US$2 a plate, you not only get a taste of delicious chicken noodles, but also a taste of a hawker’s spirit and passion. Stories like this is what inspired the ‘Hawker’ unit in Yat Fu Lane.